They would make cute dresser draw handles too! No!! I've been eying these. So cute! Not wrong at all these are too cute! oh my gosh, are those earrings?! too cool! 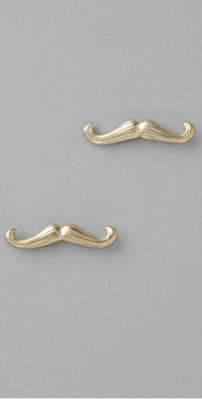 Generally I am tired of mustaches, but I really do like those. Oh wow, earrings? I thought they were wall hooks! Mustaches are on fire right now!